ERCOT’s current market design “will support more than sufficient reserve margins,” according to a draft report the grid operator filed on Friday with the Texas Public Utility Commission. The report by The Brattle Group estimates a market equilibrium reserve margin (MERM) of 10.25% under projected 2022 market conditions. “This estimate should not be interpreted as a precise forecast for 2022 or any other particular year, but as a reasonable expectation around which actual reserve margins may vary as market conditions fluctuate,” Brattle said. “Low reserve margins cause high energy and ancillary service prices and attract investment in new resources, and investment will continue until high reserve margins result in prices too low to support further investment. “This is much lower than historical reserve margins, but close to the reserve margins from ERCOT’s latest resource adequacy reports,” the report added. ERCOT’s reserve margin was 10.9% for summer 2018 and is projected at 11% for 2019. Brattle also calculated a 9% economically optimal reserve margin (EORM), the point at which the marginal costs and marginal benefits of adding capacity are in balance. “The economic optimum occurs at the reserve margin that minimizes societal costs net of all supply costs and the lost value from any disruptions in electric service,” Brattle explained. 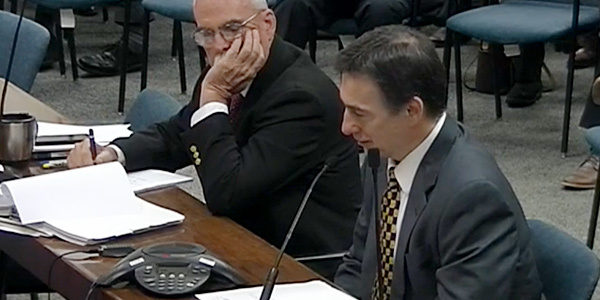 The report was submitted as part of the PUC’s review of ERCOT’s reliability standard (Project No. 42302) and its performance during the summer’s tight conditions (Project No. 48551). The report notes MERM is a relevant measure because ERCOT does not have a resource adequacy reliability standard or reserve margin requirement, unlike other systems in North America. ERCOT’s reserve margin is “ultimately determined by suppliers’ costs and willingness to invest based on market prices, where prices are determined by market fundamentals and by the administratively-determined operating reserve demand curve [ORDC] during tight market conditions,” the report’s authors said. The report’s results for both the market equilibrium and economically optimal reserve margins were 1.25% lower than found in a 2014 study. Brattle said low gas prices, higher renewable penetration and updated assumptions on generators’ forced outages and weather contributed to the change. Brattle will present its study results during ERCOT’s Supply Analysis Working Group meeting on Oct. 19. The report will also likely be used in an Oct. 25 PUC workshop on the grid operator’s summer performance. ERCOT will accept stakeholder comments on the report through Nov. 26. 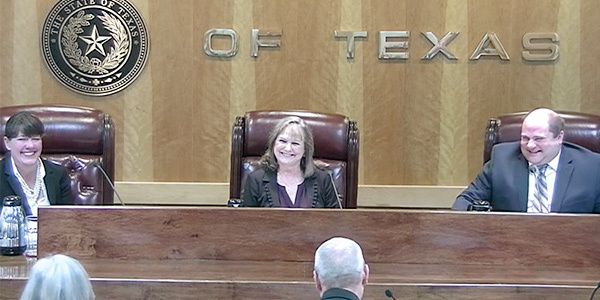 During an abbreviated open meeting Oct. 12, the PUC moved to open a rate case for Wind Energy Transmission Texas (WETT), which staff said earned an excess $16.4 million last year. The commission’s action gives the company 120 days to file revised rates, although staff is hopeful a settlement agreement can be reached before then (Project 48158). WETT had a 12.43% return on equity in 2017, above staff’s estimate of 9.60%. WETT reported a year-end 2017 capital structure of 53% debt and 47% equity, while the PUC said a 60/40 mix is appropriate for transmission-only utilities. “If WETT’s actual capital structure were instead 60% debt and 40% equity, its reported level of 2017 return dollars would have generated an even higher ROE of approximately 14.1%,” staff said in a memo. The PUC’s consent agenda included approval of Cleco Cajun’s acquisition of NRG South Central Generating’s 100% interest in Cottonwood Energy. Cottonwood owns a 1,263-MW gas-fired generation facility, interconnected with MISO, along the Louisiana border in Southeast Texas (Docket No. 48266). Louisiana-based Cleco would own the Cottonwood facility, but the project will be leased back to NRG, which will have full operational control until May 2025. The PUC also agreed to have Executive Director J.P. Urban coordinate with the Texas Commission on Environmental Quality in providing comments on EPA’s Affordable Clean Energy rulemaking (EPA-HQ-OAR-2017-0355), its proposal to replace the Obama administration’s Clean Power Plan. ERCOT’s Technical Advisory Committee held an email vote to unanimously approve a nodal operating guide revision request. Wind energy is quickly becoming a dominant force in ERCOT’s resource mix, and the grid operator is making changes to address it.